Deborah Shamoon’s Passionate Friendship: The Aesthetics of Girls’ Culture in Japan traces the development of a niche in entertainment that is barely a century old, and yet forms a crucial sector within modern media. She investigates a whole series of tropes and traditions, that themselves form the bedrock of today’s Japanese comics for female readers of all ages. In hard-nosed financial terms, Shamoon observes that it only became economically profitable for families to send a girl to school in the late 19th century. It’s this, in particular in the wake of the standardised national curriculum introduced in the 1899 Girls’ High School Law, which created the true shojo – a term that means “girl”, but might be better parsed as an evolving term for a teenager, a threshold between childhood and adulthood that nobody had really thought about before. It’s this that creates the first glimmerings of Japan’s shojo subculture – a world of entertainments, obsessions and media designed to reflect and shape this new world of teens. Shamoon begins her history in the late Meiji period, when mass-market printing and consumerism allows for magazines and gew-gaws to serve this new consumer group. She details the first stories that struggled to examine these so-called “girls”, and to place them within the context of changing Japanese society. In studying the pioneering texts, Shamoon opens up an entire new world (at least for me) within Futabatei Shimei’s Drifting Clouds, a novel I was made to study in Japan nearly thirty years ago, without ever being given a reason why. Under Shamoon’s tutelage, Drifting Clouds transforms from a dull slice of Meiji-era life into a turbid conflict between the old ways of wooing and modern traditions of love, as two suitors duel over the right way to treat a lady freshly returned from one of those new-fangled schools. Among the symbols that Shamoon chronicles is the white lily, originally introduced as a Christian-influenced signifier of purity, but eventually appropriated as a code for lesbianism. And thereby hangs a tale, as Shamoon delicately but firmly takes on the contending interest groups that want to appropriate Japanese girls’ culture for their own ideologies. Shamoon takes Jennifer Robertson to task for her pioneering work in English on the Takarazuka Revue, accusing her of talking up fans’ reaction to this all-girl performance troupe as a form of proto-lesbianism. She eloquently outlines a polarised debate over whether we should believe the facetious asexuality hyped by the Takarazuka Revue itself, or the hype of researchers determined to daub it all over with the rainbow colours of queer theory. Her discussion of a possible middle ground, a “lesbian continuum” in the terminology of Adrienne Rich, along with the widespread implications of stating that, for example, lesbianism is normal, or lesbianism is abnormal, is a delightful and nuanced tiptoe through that particular identity politics minefield. She delves back into the 19th century, not only in Japan, but in America, with an insightful account of the degree to which American schoolgirls were once encouraged to form close and passionate attachments, or “smashes” to channel teenage frustrations away from the orbit of predatory boys. I recall many occasions at UK conventions in the 1990s, when Helen McCarthy would plead with largely male audiences that many of them were misreading “lesbianism” into ardent friendships in many a girls’ anime, although her comments usually fell on deaf ears. This, then, is Shamoon’s lead-in for the term nakayoshi, innocently rendered as “pals”, but containing within it the seeds of a passionate yet chaste companionship – long-term readers of this blog may recall that dickering over the best way to translate this term formed a major part of the judges’ deliberations over I Want to Eat Your Pancreas at last year’s Scotland Loves Anime festival. Shamoon details the forgotten pre-war artists who not only created many of the stylistics of girls’ media through their illustrations for prose stories, but were also the “tastemakers” of girls’ culture itself, designing kimono patterns, wallpaper and stationery, as well as much of the related advertising. She also outlines a new break-out of women’s language, as the particles and suffixes of a particularly girlish argot start to infest literature for this readership. The pay-off comes in her final two chapters, as she relates the post-war boom in girls’ comics directly to the pre-war history of girls’ magazines. She charts the slow takeover of girls’ magazines by comics, with titles such as Nakayoshi still carrying photo-spreads, articles and celebrity interviews in the early sixties, amid a small but ever-growing number of manga pages. Here, again, Shamoon grapples with a debate behind the scenes by citing prominent figures on both sides. 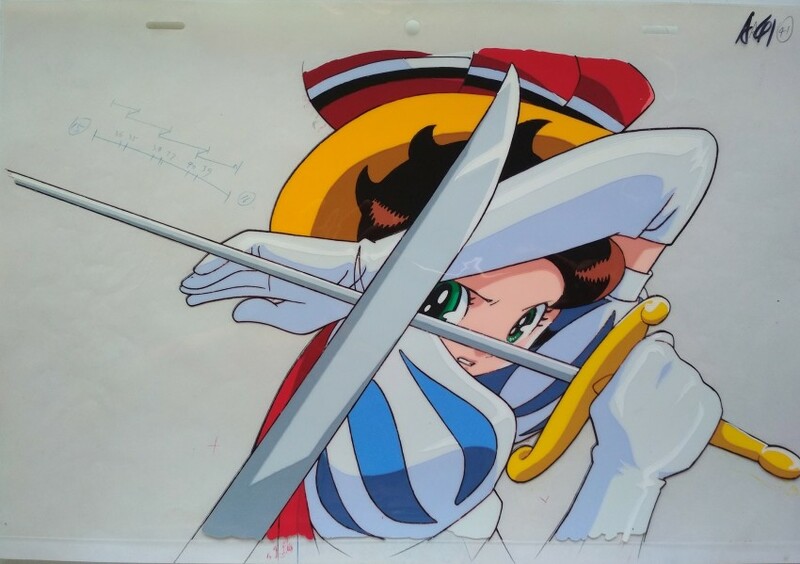 She is healthily sceptical about Osamu Tezuka’s claim to have “invented” girls’ manga with Princess Knight – in fact, she cheekily argues that Princess Knight lacks many of the deeper elements that have come to distinguish shojo manga. She saves the best till last, with the revolution in Japanese girls’ comics in the 1970s, as a generation of women, raised on girls’ comics created by men, took over the genre for themselves. Shamoon sets this transformation in a publishing context – it’s only in the 1970s that such magazines gave themselves over to majority-manga content, creating substantially more space for the ladies to flourish. It is also in the 1970s that girls’ manga start to experiment with “Boys’ Love” – the presentation of male homosexual relationships as non-threatening entertainment for female readers. 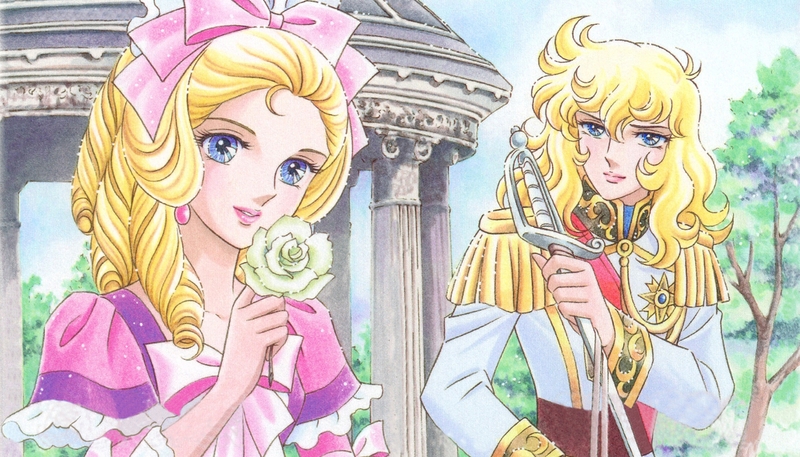 She finishes with a prolonged discussion of the title that encapsulated this whole century of development, Riyoko Ikeda’s iconic Rose of Versailles. Rose of Versailles, to many readers’ surprise, only originally ran for nineteen months, coming to an end in the December 1973 issue of Margaret magazine. But it is the ideal ending for Shamoon, finishing on the gender-bending classic that would be adapted into an anime, transformed into a Takarazuka musical, and influence an entire new generation of artists. While her outline of girls’ culture finishes in 1973, it forms the firmest possible foundation for any investigation of entertainment for Japanese teenage females in the 46 years since. It should be required reading for anyone writing on the topic. Jonathan Clements is the author of Anime: A History. 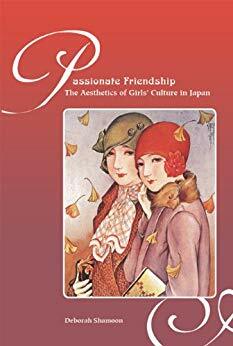 Passionate Friendship: The Aesthetics of Girls’ Culture in Japan is published by Hawaii University Press.